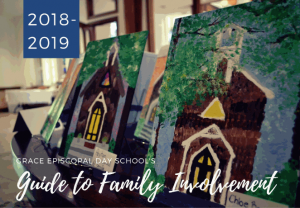 Grace Episcopal Day School is a Christian based, family-oriented educational community dedicated to maximizing each student’s potential. Like most independent schools, Grace relies on philanthropic support to help supplement our annual budget. Tuition and fees alone do not cover the complete cost of the Grace experience. 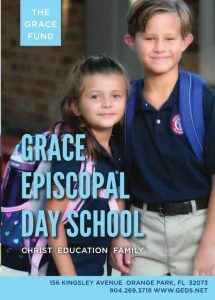 The Grace Fund is the foundation of annual fundraising at Grace Episcopal Day School. Your gift to the Grace Fund helps to provide the best educational experience for the students of Grace, while providing the necessary support and resources to our faculty and staff. Every member of the Grace Episcopal Day School community – parents, grandparents, faculty, staff, trustees, alumni, Church Vestry members, and friends of Grace – are asked to give. 100% participation in giving increases our position to procure grant funding and major gifts. Your partnership is crucial in closing the gap between tuition income and actual operating expenses. Your gift will support continued excellence in academics, character education, arts enrichment, Christian education, and technology.